A veiled woman walks in the streets of Sultanahmet district of Istanbul. Islam is the main religion in Turkey. 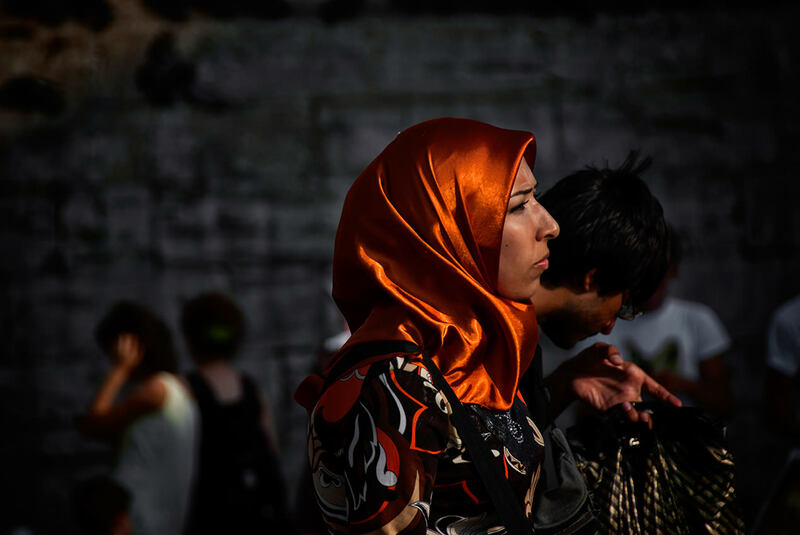 A Muslim woman with a veil that covering her head leaving her face appear is walking with her husband in the streets of Sultanahmet area of Istanbul in Turkey. L’Islam est la principale religion en Turquie. Une femme musulmane avec la tête voilée laissant son visage apparaître se promène avec son mari dans les rues du quartier de Sultanahmet d’istanbul en Turquie.